A meadow enveloped in sleepy fog wants you to stay in a blissful sleep just a little longer. Let this moment last forever. 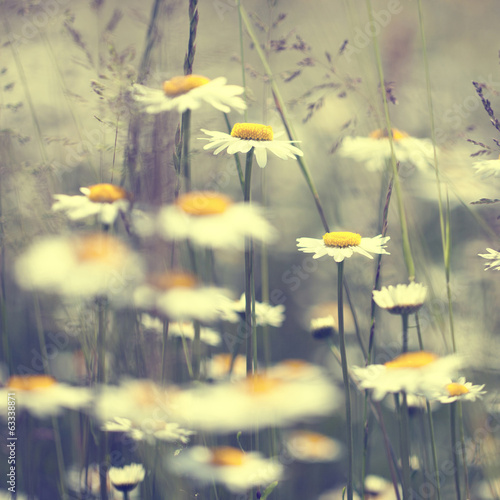 Softly blurred white daises on a photo wallpaper will impart softness and subtlety to the entire composition. Let the walls be enveloped in the softness of whiteness and let these features move in your bedroom.